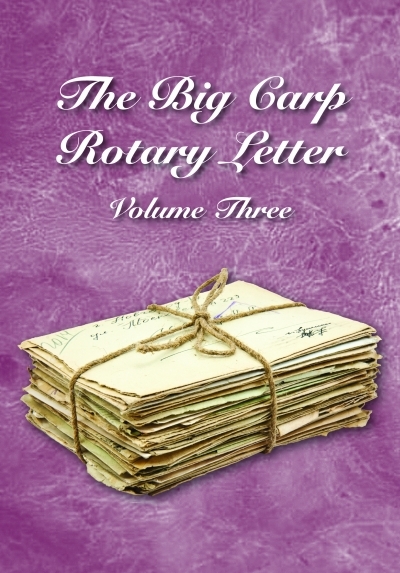 Whereas the Rotary Letter Volume 1 was written largely whilst I was fishing in the Colne valley rubbing shoulders and bouncing ideas off the Savay and Harefield anglers Volume 2 was spawned when I resurrected it some time later having moved valleys to the Black Water Valley this time fishing the notoriously difficult Yateley complex in the thought provoking company of the one and only Terry Hearn. Carp fishing has often been likened to doing a jigsaw. Piece by piece the problems are solved as we move closer to our chosen quarry. Leaning its movements, plotting and planning, leaning sometimes by our mistakes until finally that last piece of the puzzle is ready to position. Everything we have leant leading to that one session where everything is perfect, in the right place, on the right day, with the right bait and rig positioned on that spot!! And success is earned, the jigsaw is complete....there at your feet lies your nemesis. There can be no greater feeling to a carp angler. Yateley too was a jigsaw for all who fished it,not one of those kiddies puzzles either this one was the ' daddy ' of jigsaws ! One of those jigsaws that only the dedicated play, 50,000 pieces, start it at your peril, some would not even put the first two pieces together despite the hours they put in...that was Yateley in the mid nineties. Fishing with Terry fired up our 'original thought' we fed off each other, rigs changed completely, the stiff rig era was born, baits went through a total re - design, both hook baits and free offerings honed to perfection. So too was our watercraft, such was the precision necessary to out wit these wiley old carp, pieces to this jigsaw were hard earned. 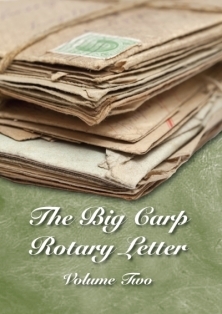 The Rotary letter was our outlet and our pathway to a world wide network of knowledge.many great anglers joined our quest not only from the UK but France and Hollands thinking anglers too and the rotary letter evolved as we enrolled more and more like minded anglers. We had stumbled upon more knowledge and experience than we had ever imagined as more and more anglers joined our ranks. More and more opinions, more people testing our findings on their own waters, the ultimate field testing, the letter grew from strength to strength enrolling eager minds from North and South, far and wide while solving the problems we thought were impossible to understand. The letter also evolved in its composition. The birth of the ' Rotary Letter Live' was upon us. Whereas previously the letter was only posted in the mail, social get togethers either on the bank or at my house brought a whole new meaning to ' pooling ideas ' with several of us together the ideas flowed. RL Live was not restricted to Yateley either Sutton, the Grand Union Canal even the mighty Colne Mere played host to its contributors. Although dominated by myself, Terry Hearn, Dave Lane, Nick Helleur and Lee Jackson, Volume 2 had an amazing group of contributors.....Martin Clark,.Roger Bacon, Steve Livesley.Bill Rowley, Christian Finkelde, Tim Wagner, Gary Millward, Paul Harris, Glyn Gommershall, Ev Evans, Richard Thompson, Paul Martin, John Van Dam, Ian Bates, Adam Penning, Jon Davies, Mick Coumas, Tim Childs and Gravy plus others collectively put our heads together. 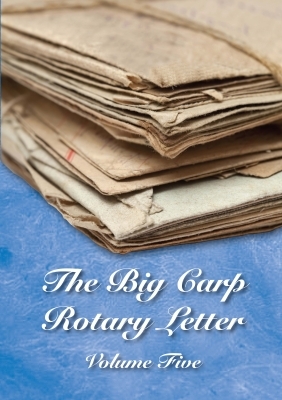 The outcome is extraordinary, the Big Carp Rotary Letter was on the lips of every carp angler worth his salt. History was made and the solutions we found hold as true today as they did then. 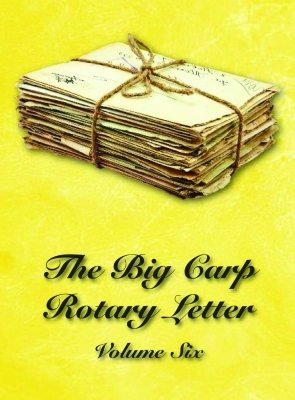 This is a script that every carp angler , regardless of experience should read again and again, there are years worth of knowledge condensed into these 400 pages. 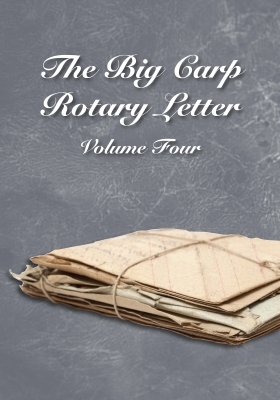 Often referred to as the 'Original Carp Anglers Bible', unique and unrepeatable!